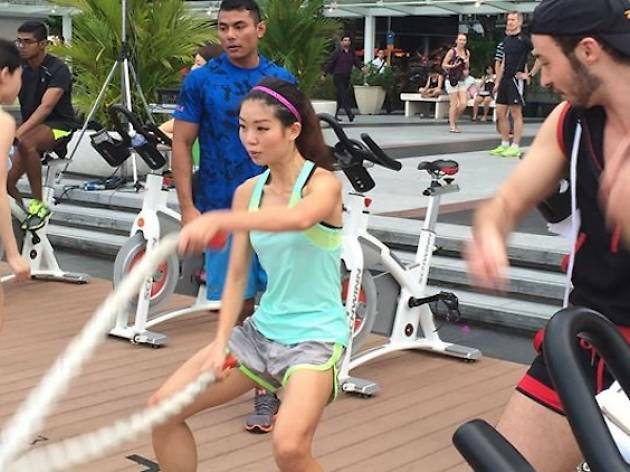 Fitness buffs, head down to Orchard Road for an endorphin pump organised by American sports label Under Amour and local spinning studio 7cycle. Set to music, the fitness session includes alternating classes of rhythm-based rides (spinning) and high-intensity interval trainings. Participants will receive an Under Armour top, 10% Discount at UA Robinsons Heeren (valid on 25 April) and a 10% Discount Code to shop at Under Amour's online website. Register online at www.7cycle.sg for a fee of $45.